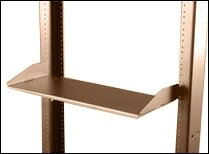 Floor-standing and table-top equipment racks. Front & back edge folded – acting as both stiffeners and equipment retainers.. 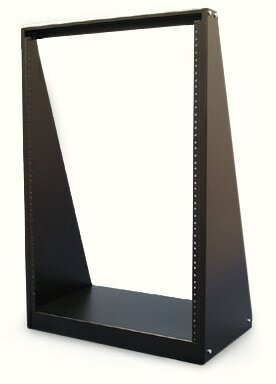 Shelves include tie down slots on each side & four tie down holes.